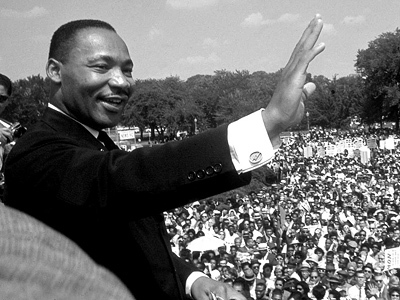 Despite invitations, no Republican leaders attended the historic 50th anniversary of the Martin Luther King Jr.-led March on Washington held on the National Mall Wednesday. March organizers said they reached out to current and former Republicans leaders, yet all turned down the invitation given scheduling or health conflicts. Invitations were sent “on a rolling basis” for the last four or five weeks, Rev. 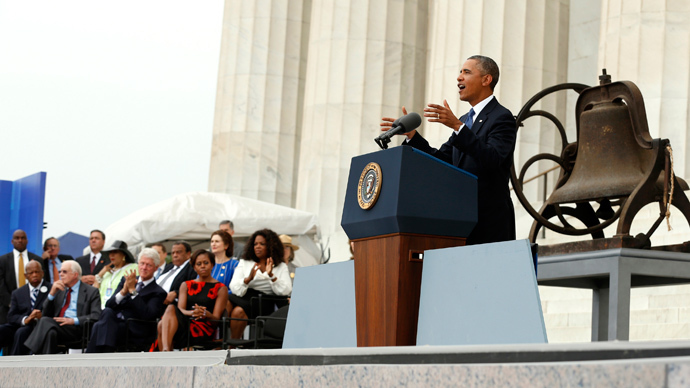 Leah D. Daughtry, who served as executive producer of the commemoration, told the Washington Post. Congress is currently in August recess, a time traditionally spent by members traveling around their home districts. Many invited leaders cited scheduling plans they could not break. Former Presidents George H.W. and George W. Bush opted out for health reasons. The younger Bush released a statement hailing King and President Obama’s appearance at the march. “There on the National Mall our President, whose story reflects the promise of America, will help us honor the man who inspired millions to redeem that promise,” Bush said. Michael Steele, the African-American former Republican National Committee chair, said he was disappointed the event was not a bipartisan affair. He faulted party leaders for not attending, especially given the party’s struggles with wooing minorities. “It’s part of a continuing narrative that the party finds itself in with these big deals for minority communities around the country and how they perceive our response to them,” he said. Republicans noted the only black Republican US senator, Tim Scott of South Carolina, was not invited to speak at the event.